Barboursville is the original county seat of the Barbour family, whose patriarch, James Barbour, was the 18th Governor of Virginia, a U.S. Senator, Secretary of War, and Ambassador to England. 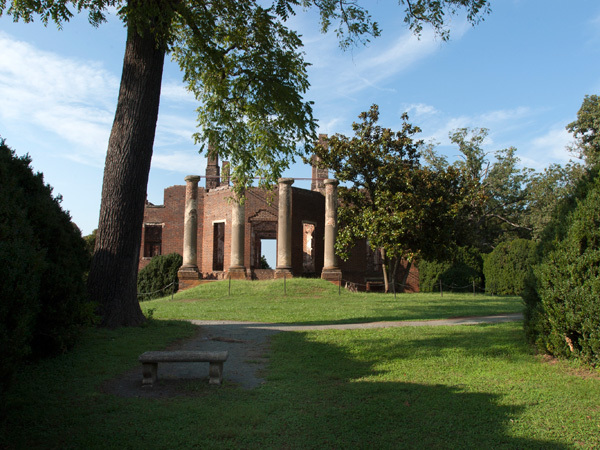 The centerpiece of Barbour's more than 4000-acre estate was a Neo-Palladian house modeled after a design by Thomas Jefferson, whose home Monticello is twenty miles away in Albemarle County. Constructed between 1814 and 1822, the house was destroyed by fire in 1884. 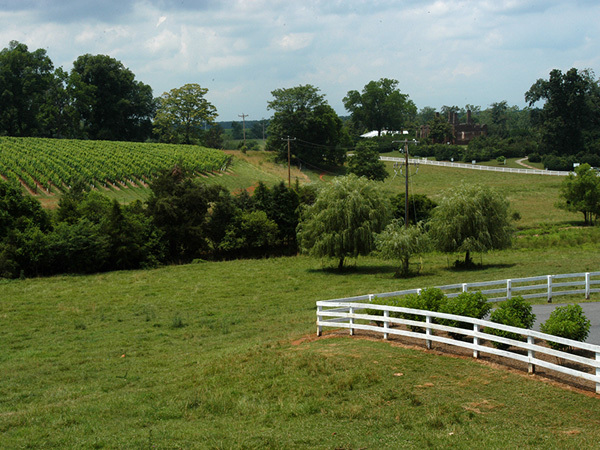 Today measuring 900 acres of rolling Piedmont hills, the property has operated as a commercial vineyard since 1976, the first to successfully establish vines in Virginia. 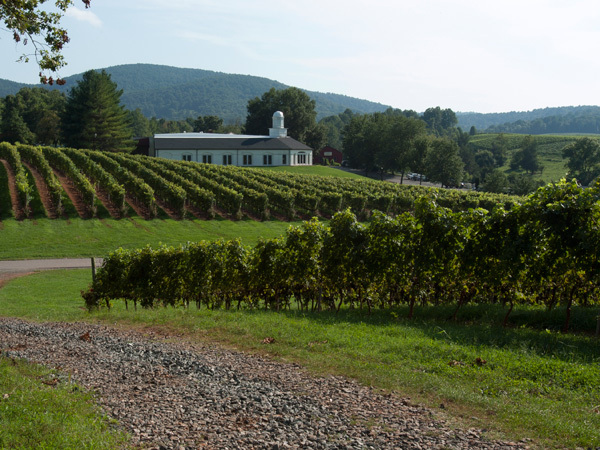 In addition to the vineyard, which is surrounded by undeveloped woodland and open fields, the property includes the 1804 Inn - twin Georgian villas built in that year, now operated as a private home and inn. The Inn's small formal garden, likely built in the 20th century, incorporates a circular planting bed surrounded by large boxwood and divided into quarters by pea gravel paths, with a brick pad and stone pedestal at its center. To the east are the main house ruins, which were preserved and stabilized in 1978. 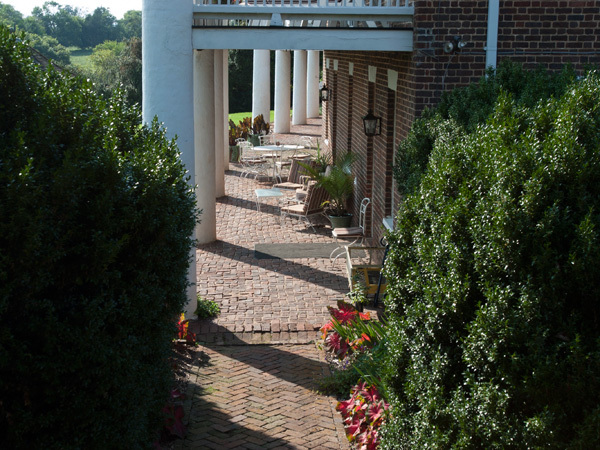 The former entrance to the house, framed by four classical columns, looks out onto fragments of a large oval racetrack, patches of woodland, farmland, and the distant Blue Ridge Mountains. The ruins and Inn are surrounded by 200-year-old boxwood hedges. 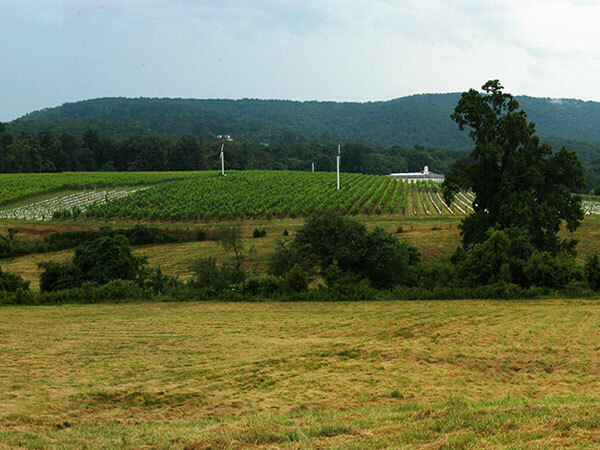 Visitor and winemaking facilities were added in the late 20th century. The property was listed in the National Register of Historic Places in 1969.